Hello ... Hello ... my old friends ... It's great to see you once again! 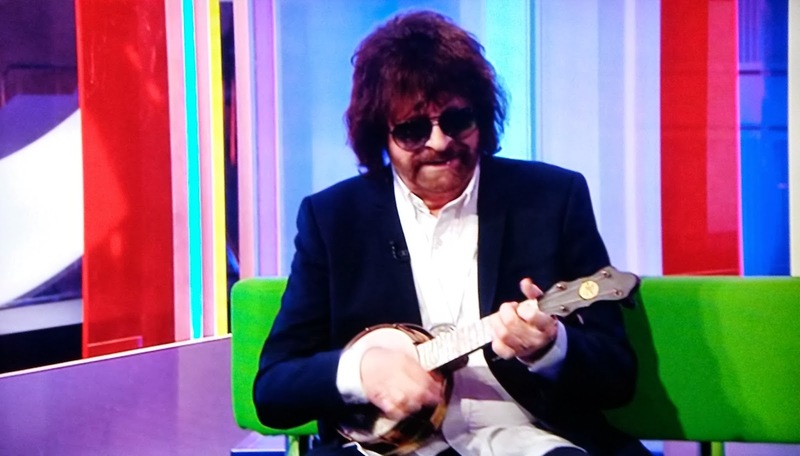 Jeff Lynne starred in tonight's One Show [BBC1; Friday 7th March] as Chris Evans drank in a Midlands ELO themed musical montage, a discussion on the presence of the American accent in song, a stunning impromptu ukulele performance of "When I'm Cleaning Windows" and a steaming hot curry! 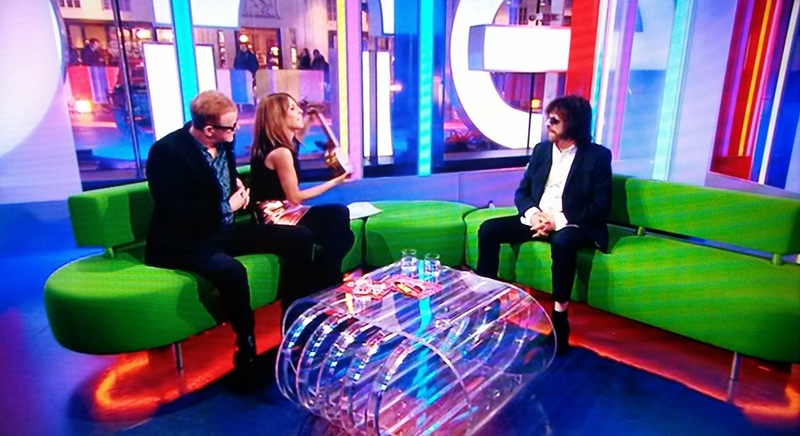 The topic of conversation centred initially around Jeff's double Brummie accolades but quickly moved to the major headline from the earlier Chris Evans Breakfast Show on BBC Radio 2 where Jeff suggested that 2,000 messages might be enough to persuade him to headline a BBC Children In Need charity gig at Wembley in front of up to 80,000 fans. By the way, those 2,000 texts were received in under two minutes! DJ Evans casually quoted on the show that Wembley was free this year on Monday 21st July and that LiveNation could easily fill five dates at the O2 Arena ... if he was interested! 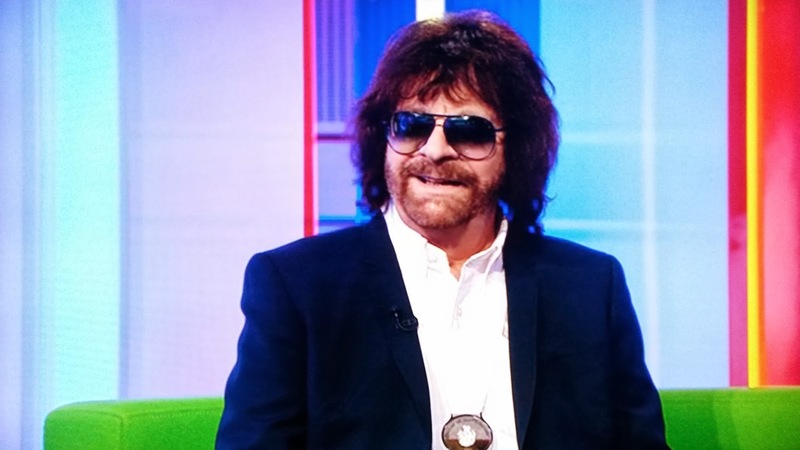 Hence the public and commercial appetite for Jeff Lynne/ELO to return to the live stage in the UK was more than ably demonstrated on prime time British television. 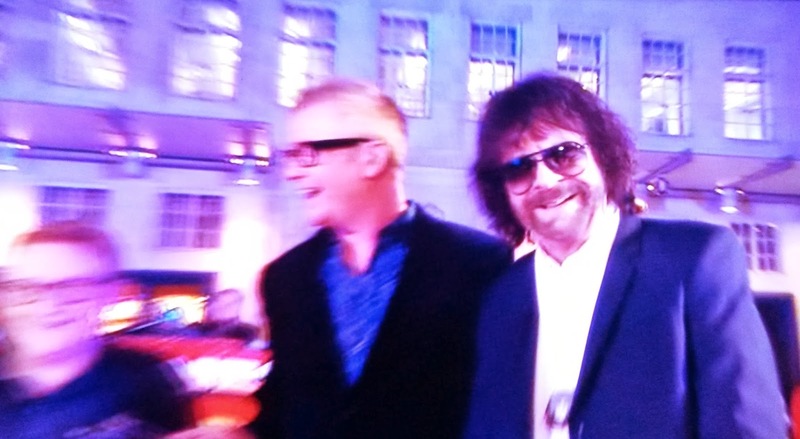 For me, both of these highly visible public appearances by the ELO maestro both conveyed his "chuffed to bits" pleasure at his home town recognition but, more significantly, the sheer weight and clambering of celebrity, promoter and the man [and woman] on the street alike for an opportunity to see the man live.